Add much needed protection and curb appeal to your home with LP SmartSide siding. Natural wood is well known as a beautiful siding option. However, natural wood is often not the best option because it requires regular maintenance and isn't quite as durable as some other siding types. Luckily there is a way to enjoy the beauty of natural wood without the downsides. Engineered wood siding (sometimes known as composite wood siding) is a beautiful, durable, and cost-effective way to keep your home protected. 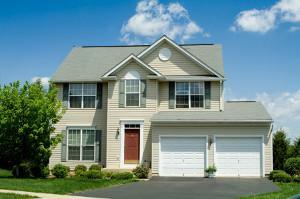 All you need is a siding contractor you can count on to do the siding installation correctly. XteriorPRO is the siding company you need to make your engineered wood siding installation a success. Our experienced team has years of experience and we always aim to exceed expectation, not just meet them. We work with quality materials from leading manufacturers like beautiful LP SmartSide siding. Interested in durable and attractive siding installation for your home? The siding contractors at XteriorPRO can make your dream a reality! Contact us today online or call 1-844-831-8069 to schedule your free engineered wood siding cost estimate in Chesterfield, St. Charles, O'Fallon, Ballwin, St. Peters, Belleville, St. Louis, Ellisville, Florissant, Wentzville, and nearby Missouri and Illinois. Beautiful: Engineered wood siding provides an incredibly consistent appearance with rich cedar grain textures. It is also an especially great compliment to brick, stone, and stucco homes where it helps to balance the home's appearance. Durable: Besides being beautiful, Engineered wood siding is actually one of the most durable options a home can have. It is particularly resistant to harsh weather of any kind and is also resistant to fungal decay, termites, and hail impact. Workable: Engineered wood siding is also easier to work with than other siding types. It is less prone to breakage than fiber cement, generally produces fewer seams and less waste thanks to long lengths, requires fewer tools, and cuts like natural wood. LP SmartSide has been a global leader in engineered wood products for over 40 years, setting the standard for innovation and quality for manufacturers. Our products are designed to provide superior durability and strength to give our customers years of use. LP SmartSide Lap Siding is the ideal way to bring curb appeal and a custom look to any home. With a wide variety of styles and colors available, LP SmartSide has the perfect siding to complement your home. Get started with a free engineered wood siding cost estimate! Every siding type is only as good as the actual siding installation which is why you need a siding contractor you can trust. Luckily, XteriorPRO is the siding company you can rely on to do the job right. Our expert team is always happy to help and we'll work closely with you to help you choose the perfect style for your needs and budget. Get started today with a free engineered wood siding cost estimate in O'Fallon, Chesterfield, St. Charles, and nearby St. Louis County!